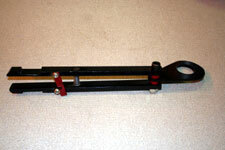 In general, the larger the spool size that your machine / stitcher head can handle, the better. This is because you will tend to get a larger cast on the wire contained on the bigger spools. This improves both the reliability and the quality of the stitch. There will also be less downtime because the requirement to change the spool and re-thread the stitcher head is more infrequent. 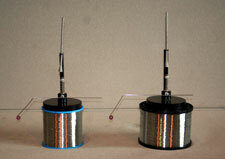 The price of wire on the larger spools is also more economical. 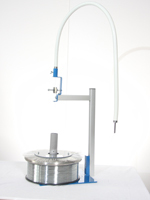 In short, by using a larger spool size, you can increase your competitiveness. 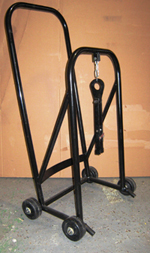 This stand can be used for your heavy spools (80kg / 90kg/ 113.5kg). for easy wire unwinding with no moving parts.